Valve has been making news the past week, announcing a new revenue split model for larger publishers on Steam. As if in response and as a direct challenge to Steam, Epic Games has now announced its own online game store, which will feature an even more generous revenue split — for everyone. The Epic Games Store will launch “soon,” and it will offer “a hand-curated set of games on PC and Mac, then it will open up more broadly to other games and to Android and other open platforms throughout 2019.” There are plenty of perks for developers, including the ability to automatically sign players up for a game’s newsletter when they purchase, easier ways to connect with YouTubers and Twitch streamers, and greater control (such as no competing ads) on their games’ pages. The big news, however, is the revenue split. Valve’s new system takes 20% of revenue from games making $50 million or more, 25% from games making between $10 and $50 million, and 30% — the previous standard for all games — from games making less than $10 million. The Epic Games Store puts even the most generous Valve offer to shame, as the company will only take 12% of revenue from all games, regardless of size, while letting them keep 88% of revenue. 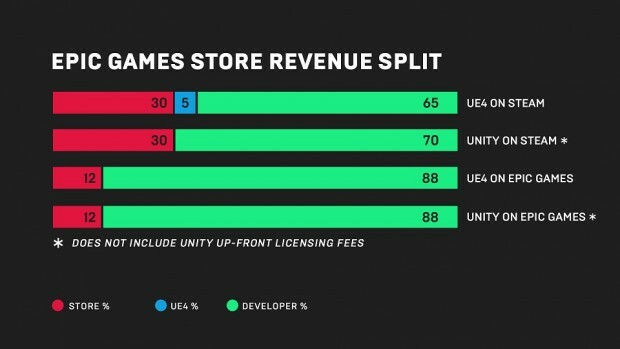 If the game uses Epic’s Unreal Engine 4 or Unity, it will also waive the 5% fee for using that engine for sales on the Epic Store. Competitors for Steam are out there, but none have managed to unseat the king of digital distribution. What none of them have had is the hottest game in the world — in this case, Fortnite: Battle Royale — to anchor their storefront. Will that, along with the hefty revenue split, to help the Epic Games Store take a serious chunk out of Steam? Let us know what you think in the comments! Steam is already established and the name is so clean. 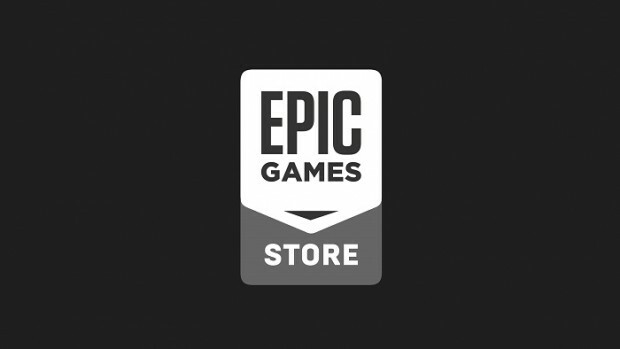 Maybe if they called it “Epic” it might have more of an appeal, but people aren’t going to drop Steam for “Epic Games Store”. Really? Have you seen how many garabage games are released on Steam every day? They get review bombed and have a total population of 20 people. There are even decent games that deserve more, but they still get review bombed and 20 player population. Just because you use Steam doesn’t mean that will help your game. it does if the game is good and all those people like it, simple as that.